Heavy duty monocoque tipping trailers with a world-wide reputation for strength and durability, the Suffolk Trailer is designed and engineered to maximise efficiency optimising the strength to weight ratio and enabling you to deliver full payloads with a low unladen weight. 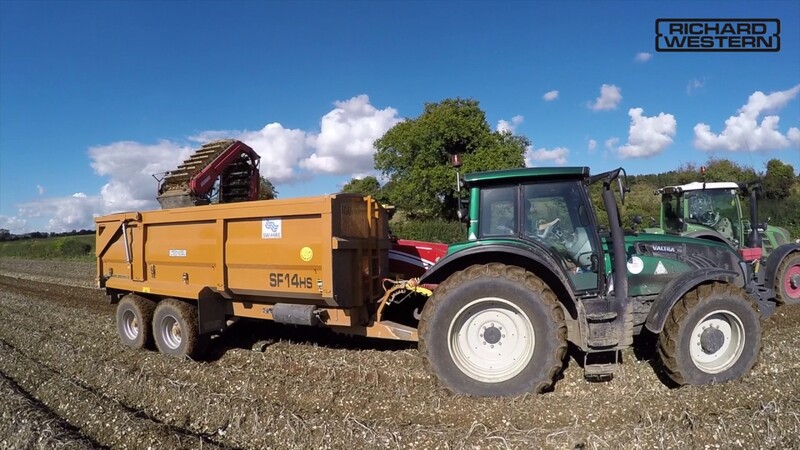 Available in 11 to 24 tonne models with an impressive array of standard features and a wide choice of options, you can build the Suffolk trailer to your exact requirements. Suitable for grain, silage and general purpose haulage. Designed for high speed tractors, all fitted with high speed commercial axles on 420mm x 180mm brakes. Highly rated towing qualities. Our commercial mono leaf spring suspension system is designed specifically for agriculture to reduce body roll, giving you greater stability on hillsides and uneven terrain. The height adjustable sprung drawbar system provides active suspension with rebound control. Faster tipping. Single five-stage vertical pushing tipping rams with a 55 degree tipping angle reduce tipping times and prevent unnecessary strain on the trailer body. Low unladen weight for maximum efficiency. Our trailers are constructed using pressed steel and channel sections to optimise the strength to weight ratio, enabling you to deliver full payloads with a low unladen weight.